We can’t deny it, chili garlic and shrimp absolutely go along well together. So this Chili Garlic Shrimp recipe is sure a hit. Since the last time Delish PH featured how to make homemade chili garlic sauce, decided to make one recipe where you can use it best. Make sure to check out that recipe before you get started. Clean the shrimps. Shells on. (although some may peel off the shell). 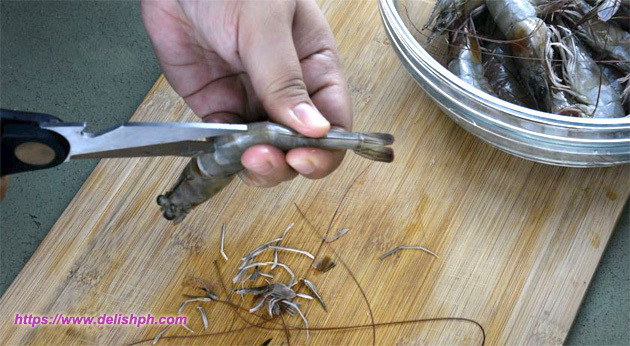 Using a kitchen shears, cut off the legs, claws, antennae and the rostrum (the hard pointe part on its head). Then from the bottom of it’s head, slowly cut through the tail creating a slit. On that back ridge, you need to pull out the dark vein. Melt the butter in the pan. Saute garlic and ginger. Add in the shrimps. Pour in the soda. Cover the pan and cook for about 10 minutes. Add in the calamansi juice and the chili garlic sauce. Mix and cook for another 5 minutes. 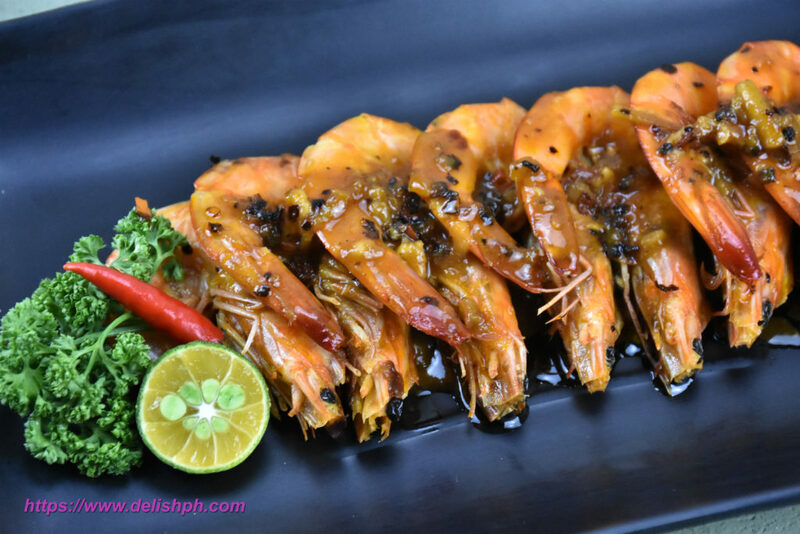 This can also be a great “pulutan” recipe. But it absolutely works perfectly with one plate of hot rice. You can check out my homemade chili garlic sauce of you want to learn how to make it at home instead of buying the bottled one.